Welcome to a double Passing of the Pioneers covering April and May. You’ll find eleven obituaries of Western District pioneers and as always there are some great characters and stories. They include a butcher, a brewer, publicans, and a teacher of young ladies and they have connections to such towns as Camperdown, Coleraine, Branxholme and Byaduk. Remember if you click on the underlined text, you will go to further information about a subject. This month, some of the links will take you to newspaper articles, cemetery records and the Victorian Heritage Database. 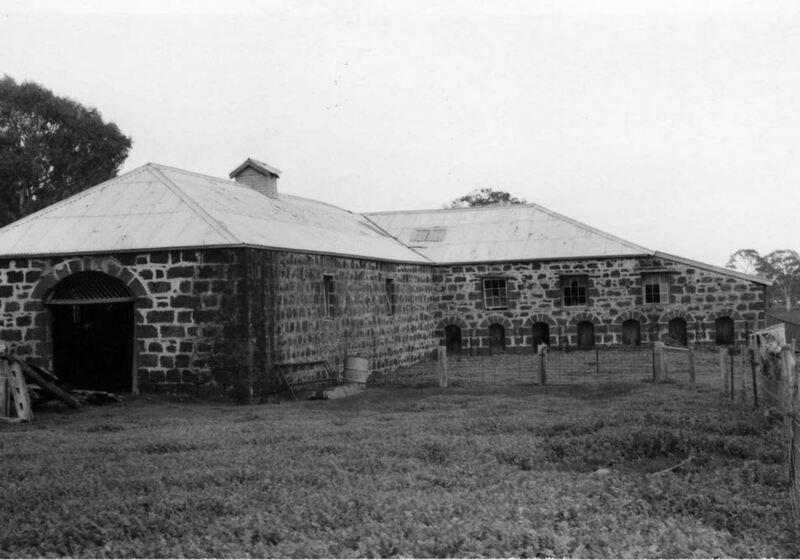 McLEOD, John Norman – Died 18 April 1886 at Tyrendarra. John McLeod arrived at Port Phillip from Tasmania in 1843 aboard the Tamar. He then went on to New South Wales and married Agnes Paterson on 20 August 1844 at Port Macquarie. 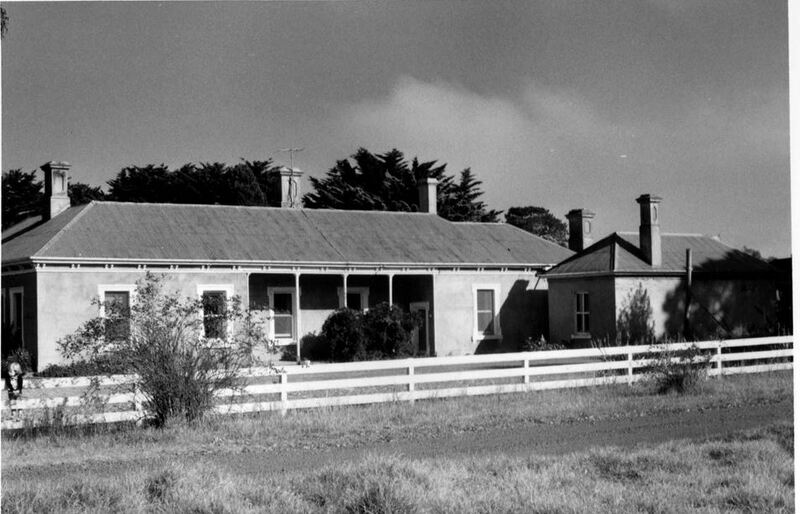 The newlyweds returned to Port Phillip and John took up Borhoneyghurk station west of Geelong. Their first child, a daughter was born at Geelong in 1845. “PORT PHILLIP” The Melbourne Daily News (Vic. : 1848 – 1851) 14 February 1849: 4. Web. 14 May 2018 <http://nla.gov.au/nla.news-article226471840&gt;. 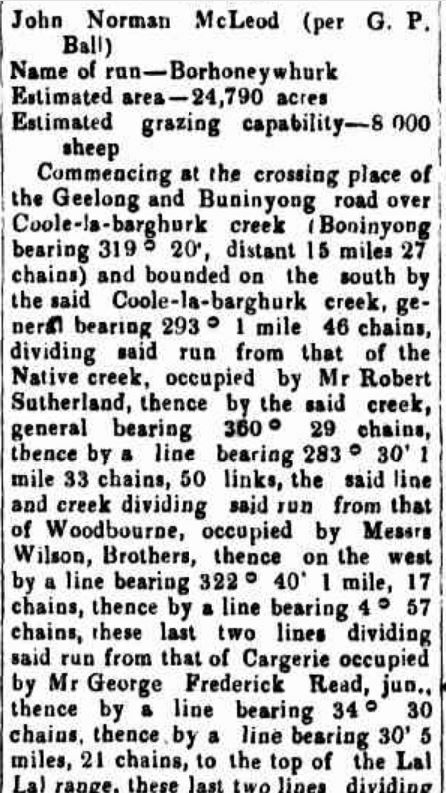 John then took up runs further west in 1850, Tahara and Winninburn located on either side of the Wannon River. 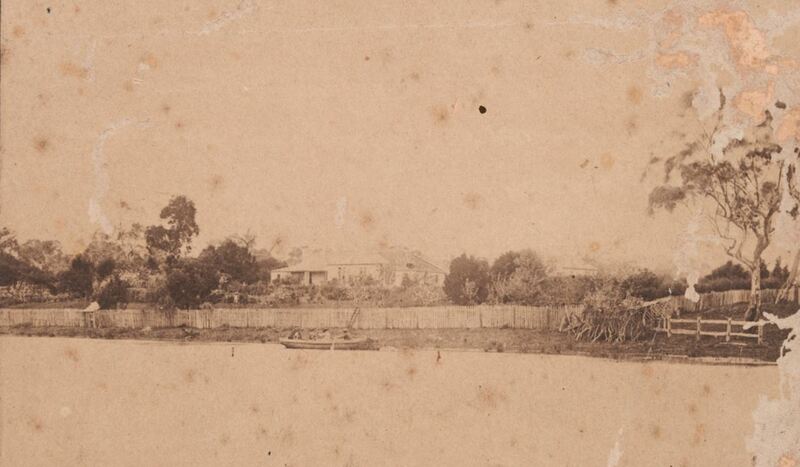 In 1853, he sold the Tahara run and purchased land at Bolwarra near Portland where he built Maretimo (below). John continued to acquire property purchasing Castlemaddie at Tyrendarra and Mt Clay Station near Heywood. On 5 April 1865, he set off to Western Australia from Portland aboard the barque Douglas with five other locals including his brother Magnus. They took 1200 head of sheep, cattle, hay and more, in an expedition to establish grazing interests in there. By 1866, he had returned. John sold Maretimo in 1873 and based himself at Castlemaddie. During his life, John was a Magistrate and sat as the Portland representative in the Victorian Legislative Assembly in 1858. After John’s death, a stained glass window was installed at St James Church, Tyrendarra in his memory. CUE, George – Died 22 April 1897 at Casterton. George Cue was born around 1813. As a young man, he was a midshipman aboard the HMAS Lapwing with his uncle, Sir Thomas Ross as captain. George then married Maria Theresa Collins and they travelled to America but returned again to London before choosing to travel to Australia. They arrived at Melbourne aboard the Royal George in November 1850 with their five children. 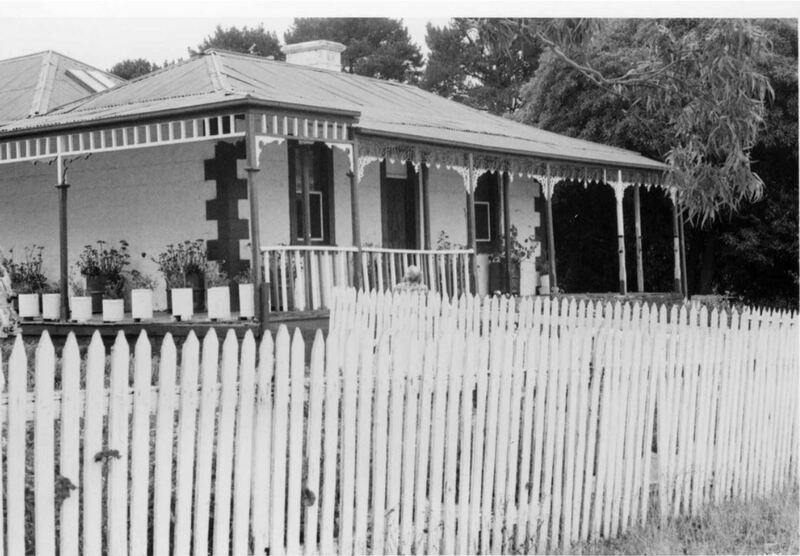 During the 1850s George Cue and his family moved to Casterton when he was appointed Clerk of Courts. He also held the role of Lands Officer and in 1872 he was appointed the Receiver of Revenue for the Casterton district. 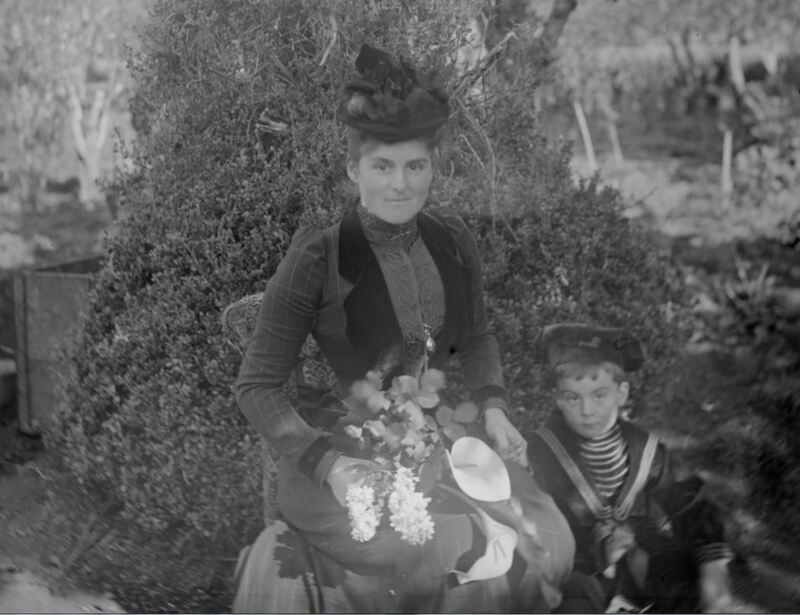 Maria died in 1883 and George’s eldest son Thomas Cue left for Western Australia where he discovered the Cue goldfields in the early 1890s. George was eighty-four at the time of his death in 1897 and was buried at the Sandford Cemetery. WIGGINS, William Henry – Died April 1902 at Camperdown. William Wiggins was born in Launceston, Tasmania around 1841 and arrived in Victoria as a child with his parents who settled at Portland. When William was older he moved to the Geelong district and completed a carpentry apprenticeship. In 1863, he and his brother John took up the licence of the Mount Shadwell Hotel at Mortlake. 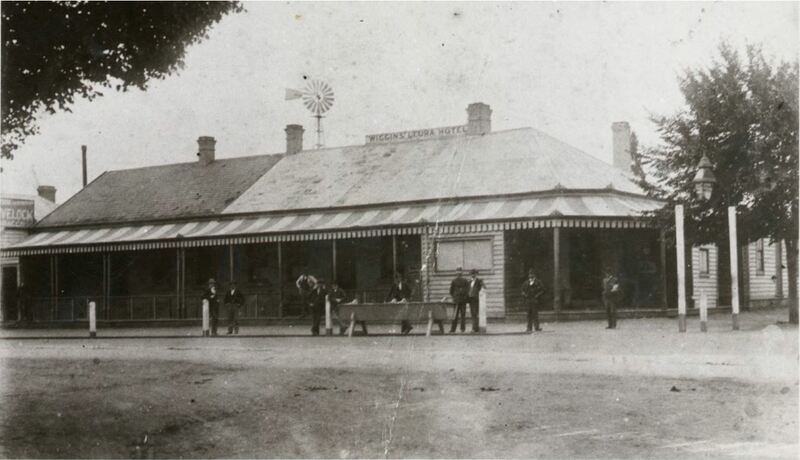 John had earlier hotel experience having purchased the Buck’s Head Hotel at Drysdale with another brother James during the 1850s. 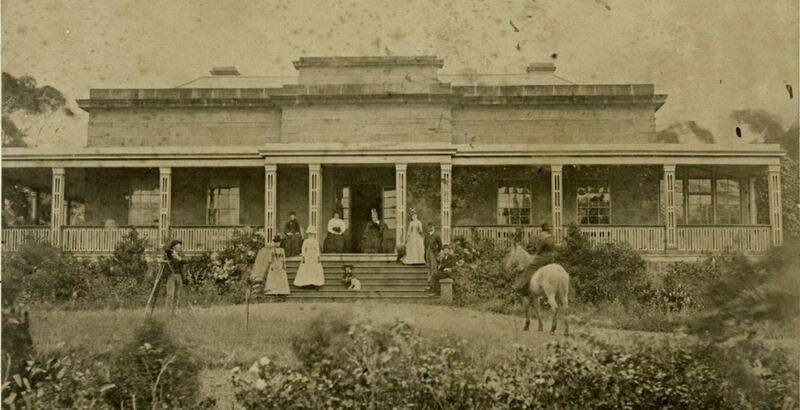 In 1865, John Wiggins purchased the Leura Hotel at Camperdown (below), and William became the manager. William was a fan of the arts as a member of the Camperdown Dramatic Club but he was also a keen sportsman. He was a founder of the cricket club and was captain for a time. He was also a leading player for the Camperdown Football Club and participated in coursing, angling and shooting. It appears William never married. BROWN, Thomas – Died 27 April 1903 at Hamilton. Thomas Brown was born in Paisley, Scotland around 1844. In 1862 at the age of eighteen, Thomas arrived in Victoria with his parents Peter Brown and Margaret McFarlane. Thomas and his brothers started a butchering business which included a tannery and fellmongery. In 1864, Thomas opened his own shop in Thompson Street next to the Commercial Hotel. “Advertising” Hamilton Spectator and Grange District Advertiser (South Melbourne, Vic. : 1860 – 1870) 22 April 1864: 3. Web. 20 May 2018 <http://nla.gov.au/nla.news-article194723938&gt;. In 1867, Thomas married Mary Ann Cameron and their large family began the following year. 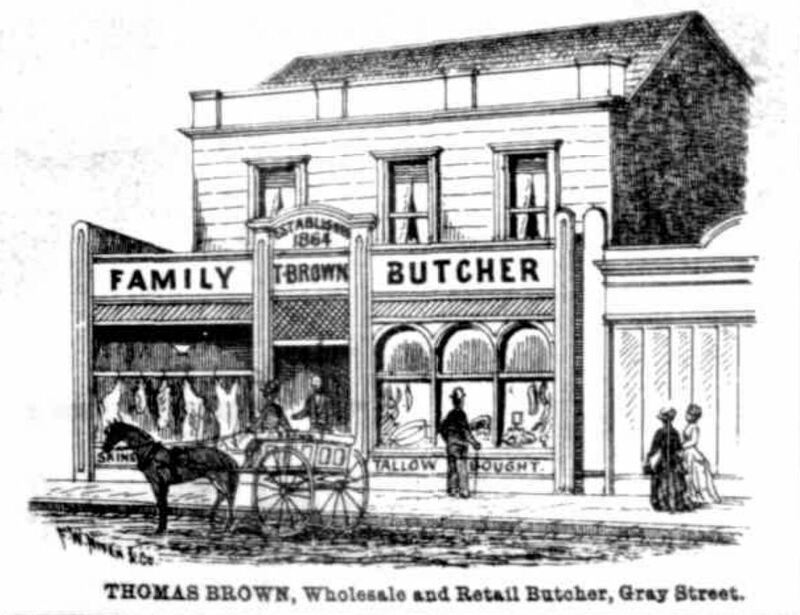 By 1888, Thomas had moved his butcher shop into Hamilton’s main street, Gray Street. 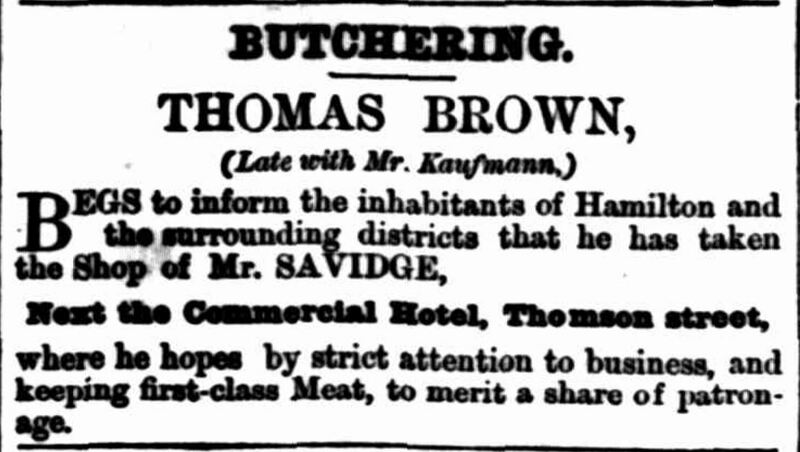 THOMAS BROWN’S BUTCHER SHOP Hamilton Spectator (Vic. : 1870 – 1918) 17 April 1888: 2 (SUPPLEMENT TO THE HAMILTON SPECTATOR). Outside of business, Thomas was an elder of the Presbyterian Church and superintendent of the Sunday School. He was associated with the temperance movement as a member of the Sons of Temperance and sat on the Hamilton Hospital committee. He was a charitable man as indicated by his obituary, “The poor of the town have lost a friend”. Thomas left his widow, Mary Ann and seven children. Three children predeceased him. 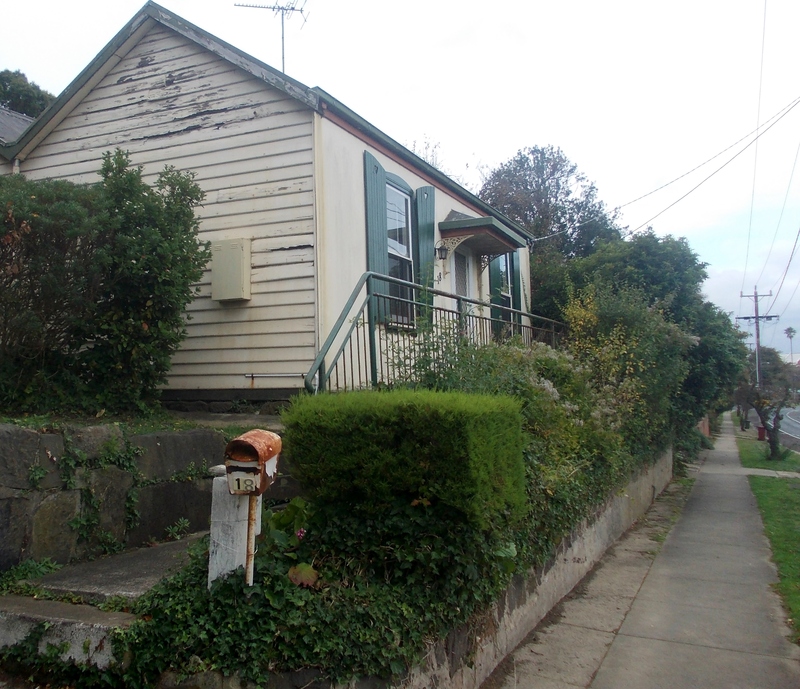 Mary Ann died in 1928 at her home Weeroona in McIntyre Street, Hamilton. CROUCH, Emma – Died 11 April 1904 at Ballarat. Emma Crouch was born in 1832 in England. Emma’s brother George left for Australia and her sister Matilda married and moved to the United States where she had three children. In 1865, Matilda died in California and her children, Kate and Arthur McCann and their younger half-sister Eustasia de Arrayave, travelled to England to live with Emma at Roxeth near Harrow, London. 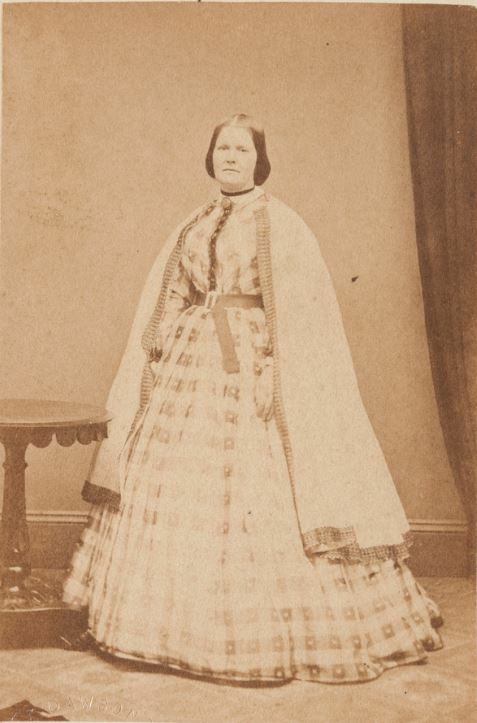 The following year, Emma with Kate, Arthur and Eustasia boarded the Great Britain for Melbourne arriving on 26 December 1866. 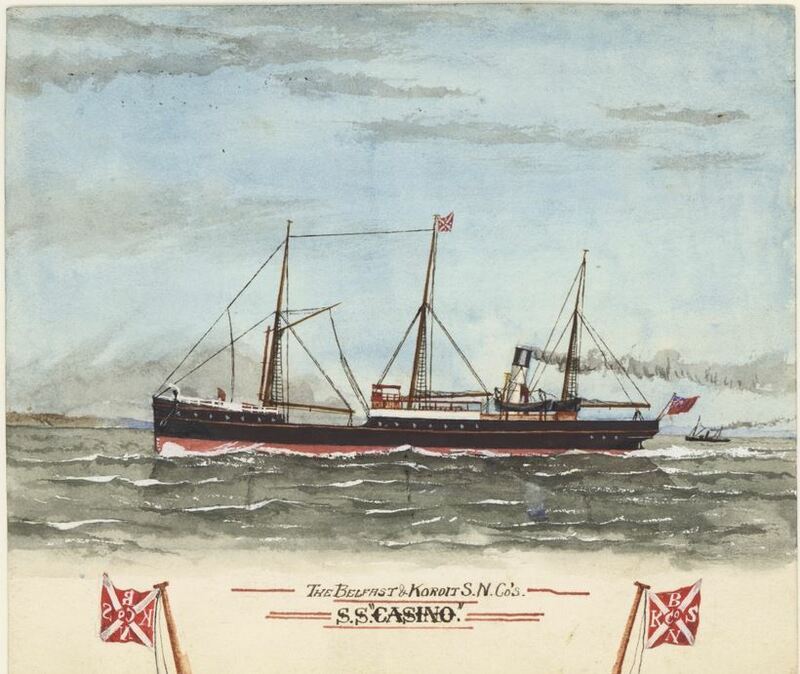 They then caught the steamer S.S. Edina to Portland to join Emma’s brother George. Emma established a Ladies School in Hurd Street, Portland and the Portland Girls Friendly Society. She was also an active member of the St. Stephen’s Anglican Church. “Advertising” Portland Guardian (Vic. : 1876 – 1953) 5 September 1876: 3 (EVENINGS.). Web. 20 May 2018 <http://nla.gov.au/nla.news-article63336246&gt;. Emma’s niece Kate married James William Trangmar in 1876 and moved to Coleraine and in time, Emma moved also moved to Coleraine. She was also active in that community, entering flower shows and Coleraine Industrial Exhibition in 1894, winning first prize with her tortoiseshell cat. Emma also set up a school for girls in Coleraine around 1880 and was an active member of the Holy Trinity Church congregation. “Advertising” Hamilton Spectator (Vic. : 1870 – 1918) 13 October 1881: 3. Web. 20 May 2018 <http://nla.gov.au/nla.news-article226059479&gt;. In 1904, Emma fell sick after her return to Coleraine from summer holidays in Portland. 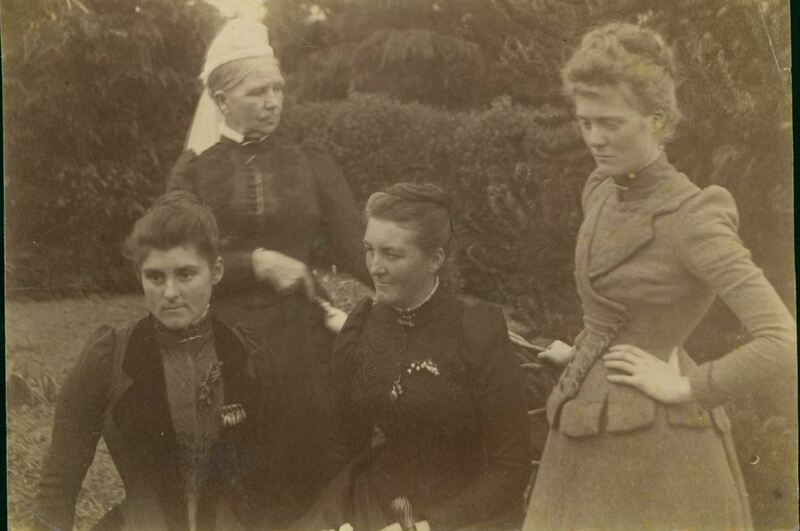 To convalesce, Emma travelled with her niece Eustasia to niece Kate’s home in Ballarat but she died on 11 April 1904. Her body was taken by train to Portland and a service was held at St Stephen’s Church before her burial at the Portland Cemetery. On 20 December 1904, a stained glass window was dedicated to the memory of Emma at the Holy Trinity Church, Coleraine (below). REID, Mary – Died 1 April 1912 at Branxholme. Mary Reid was born around 1819 in Scotland. She married Thomas Begg and they started a family. In 1855, Mary, Thomas and their children left for South Australia on the Nashwauk. After three months at sea, the ship crashed into the coast at the mouth of the Onkaparinga River near Noarlunga just south of Adelaide. Fortunately, the Begg family were rescued safely but they lost all their belongings. Thomas left Mary and the children in Adelaide and went to the Bendigo diggings for around fifteen months but returned no richer for his efforts. 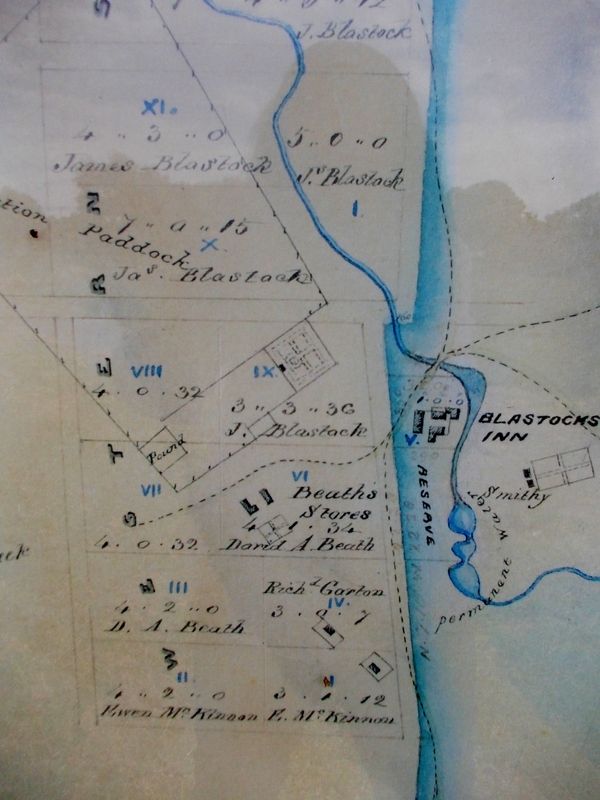 Around 1865, Thomas selected land near Branxholme naming the property Fontus. Thomas died in 1895 so Mary moved to the home of her daughter Agnes and her husband William Gough at Royston, Branxholme (below). Mary remained there until her death in 1912. CAMERON, Donald – Died 5 May 1879 at Portland. Donald Cameron was born around 1810 in Scotland and arrived in Victoria after travelling overland from Sydney in 1835. He took up the Glenroy Station at Moonee Ponds in partnership with a relative Duncan Cameron. Donald heard of the good prospects at the Portland Bay settlement and decided to see for himself. He arrived just in time for the first crown land sales in October 1840. He purchased a block opposite where Mac’s Hotel now stands and built the Portland Bay Hotel (below). While the hotel business made Donald a wealthy man, his obituary alluded to an early land purchase near Harrow of £200 which brought him a profit of between £20,000 and £30,000 when he sold the property soon after buying it. From the profits, Donald bought the Oakbank estate of more than 6000 acres near Heywood in the early 1850s. He built a large homestead (below). Donald then purchased the larger Hilgay near Coleraine around 1859. 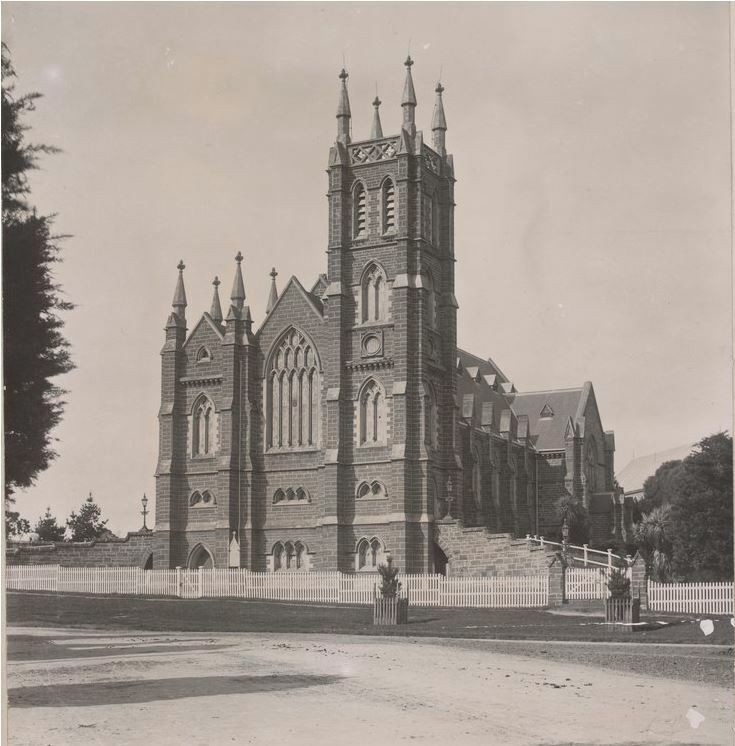 He married Eleanor Mary Jane Hughes on 7 April 1863 at St Mary’s Church, St Kilda and they resided at Oakbank. Donald took an interest in politics and contributed large sums of money toward electioneering. In May 1879, Donald travelled to Portland and took a room at Mac’s Hotel. He developed inflammation of the lungs and died at the hotel on 5 May. His widow Eleanor died the following year on 21 June at the age of sixty-one. They had no children. WINTER, Arbella – Died 1 May 1892 at Condah. Arbella Winter was born at around 1821. She arrived in Tasmania around 1839 with her brother George Winter. During the voyage, she met fellow passenger Cecil Cooke. 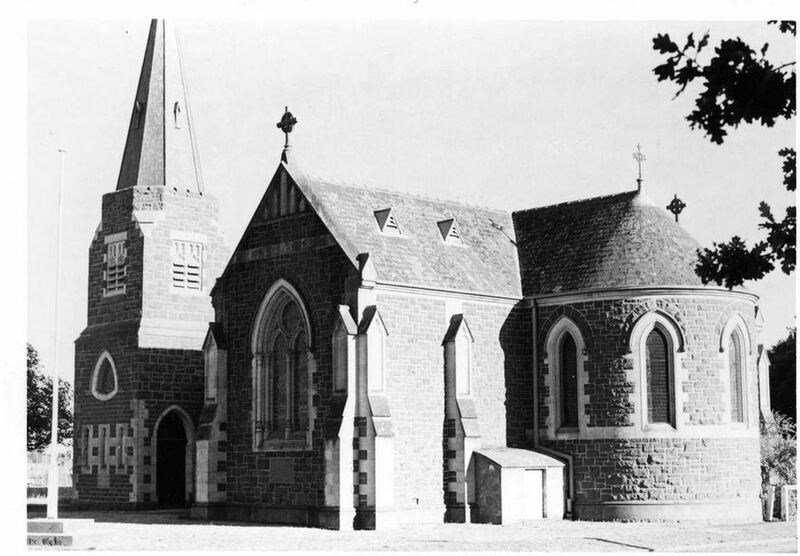 Just a month after they disembarked at Launceston, Cecil and Arbella married at St John’s Church, Launceston. “Family Notices” Launceston Advertiser (Tas. : 1829 – 1846) 23 May 1839: 2. Web. 13 Sep 2016. 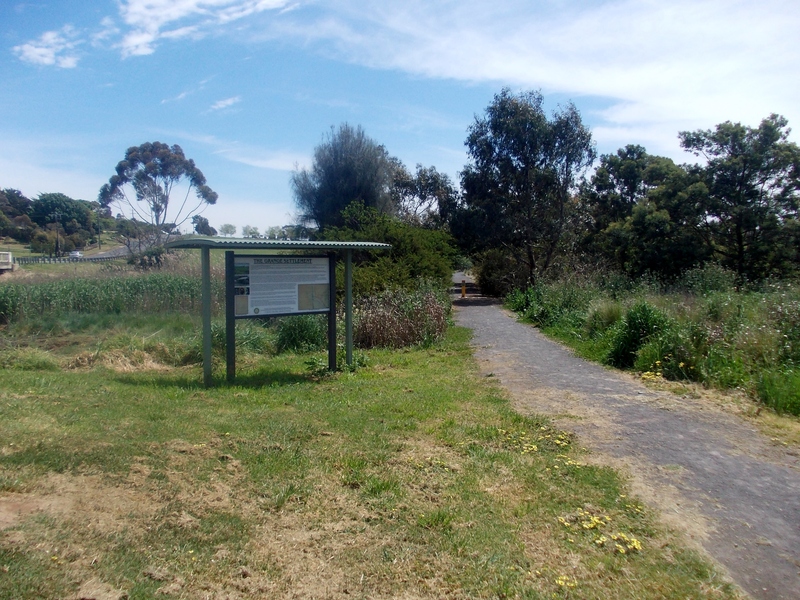 Soon after, the newlyweds boarded a schooner for Victoria arriving at Portland Bay on 10 July 1839 to join Arbella’s brother Samuel Pratt Winter already in the Western District in the vicinity of the Wannon River. Cecil travelled with his own accommodation, having brought a hut from England which he erected at Portland. Soon after, Cecil took up a run on the Smokey River, or Crawford River as it more commonly known. In 1842, a daughter Emily was born but she died the following year. The couple would go on to have five sons. Cecil was finding pioneering life tough and things were not going to plan so he went further north to Harrow in 1845 and set up the Pine Hills estate. More bad luck came when a fire went through the property in 1846. By 1849, Cecil had sold Pine Hills to David Edgar. 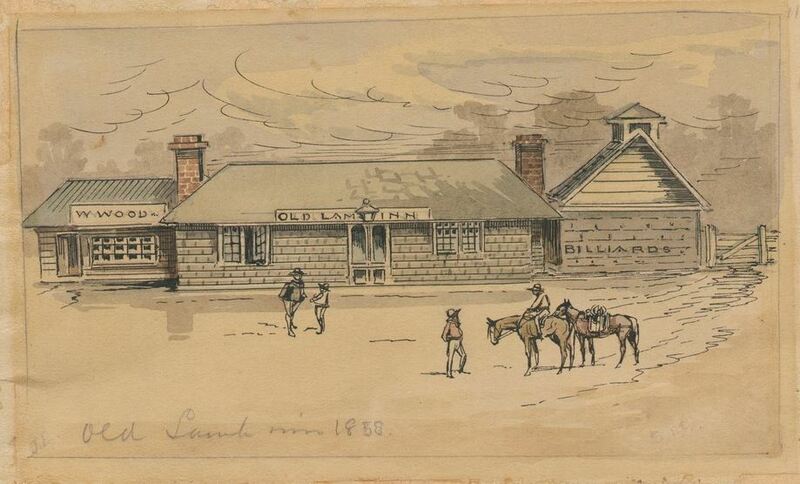 He then bought Lake Condah station (below). Arbella was very close to her brother Samuel and from the early 1870s, Arbella and her family spent more time at his property Murndal near Tahara upon Samuel’s insistence. Samuel died in 1878 and Arbella and Cecil’s son Samuel Winter Cooke inherited Murndal. Another son, Cyril Trevor Cooke became Murndal manager from 1883. Arbella died on 1 May 1892 at the age of seventy-one. Arbella was buried at the private cemetery at Murndal. Arbella was a strong woman and contrasting in character to the genial Cecil. Gordon Forth, in his paper “The Winter Cooke Papers: a valuable record of the pastoral age in Western Victoria”. (La Trobe Library Journal. 7.25 1980-04. 1-8), wrote she was “dogmatic and critical to the end”. 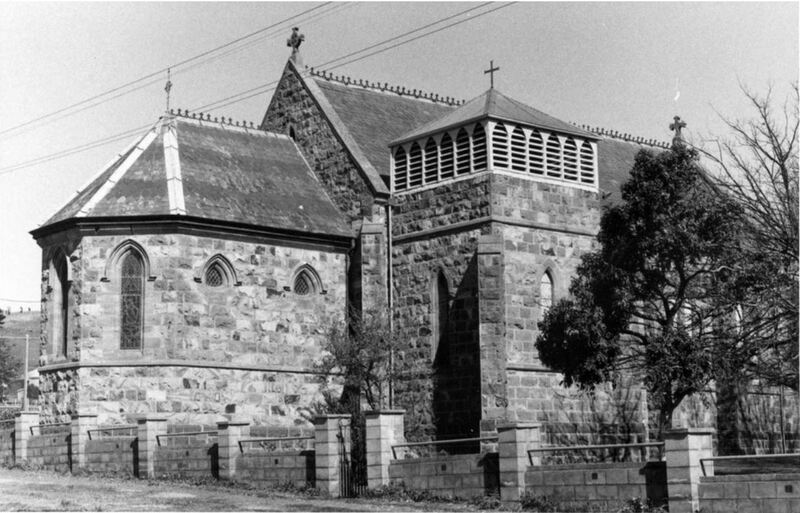 As a symbol of devotion to his wife and her Christian values, Cecil had a church built in her memory at Spring Creek (below) near Condah with the foundation stone laid on 24 March 1894. Cecil Cooke died in 1895. SLOANE, Thomas – Died 22 May 1910 at Hamilton. Thomas Sloane was born in Belfast, Ireland around 1835 and arrived at Portland when he was seventeen with his parents and three younger brothers. Thomas’ grandfather had already arrived in Victoria and was farming near Tower Hill so Thomas went to work for him. At the time, Victoria was in the midst of the gold rush and Thomas’ four uncles were going to the Bendigo diggings so he joined them. He was there only six months and although having some luck he moved on to the new diggings at Mount Ararat around late 1855. It was at Ararat he met his future wife Susan Sloan and they married in 1856. Thomas set up a soda water business and ran that until 1867 before he and Susan moved to Portland. Using the money acquired at the diggings, Thomas built a soda water factory, the White Horse Brewery and a bakery. “Advertising” Portland Guardian and Normanby General Advertiser (Vic. : 1842 – 1843; 1854 – 1876) 29 March 1866: 1 (EVENING). Web. 29 May 2018 <http://nla.gov.au/nla.news-article64636152&gt;. He sat on the Portland Council for six years and was a member of the local artillery. Trade was tough and the Sloans moved to Hamilton in 1873 where they saw greater opportunities. Thomas took a position with brewers Younger and Hunter at the Grange Brewery. After two years, Thomas bought out the owners. He also purchased the North Hamilton Brewery in Pope Street from his brothers James and Robert. In 1882, Thomas had a timber building constructed in Cox Street, Hamilton for a cordial factory. Thomas was a member of the Portland Brass Band as a drummer and when he moved to Hamilton wasted no time in joining the band in that town. The band practised in the local Lands Office but when it was no longer available to them, Thomas offered his cordial factory as a rehearsal room at no cost. The band went on to rehearse there for many years. Later, Thomas took up lawn bowling and had great success at the sport. He was also a member of the Princess Alice Lodge of the Manchester Unity Independent Order of Oddfellows. The Sloans lived at Whinhill (below) in Pope Street. When Thomas died in Hamilton in 1910, Susan was still living as were three sons and four daughters. Four children pre-deceased him. WHINHILL, THE HOME OF THE SLOAN FAMILY, POPE STREET, HAMILTON. CHRISTIE, Alexander – Died 4 May 1914 at Hamilton. Alexander Christie was born at Garvald, East Lothian, Scotland around 1827. He arrived in Melbourne in 1852 and worked as a joiner and the following year, he married Janet Fortune. On 18 March 1854, Janet died at St Kilda aged twenty-two. Alexander’s obituary mentioned Janet had died from sunstroke. It also mentioned another marriage after Janet but he again became a widower. In 1864, Alexander joined his brothers John, Richard, and Peter and selected land at Byaduk. 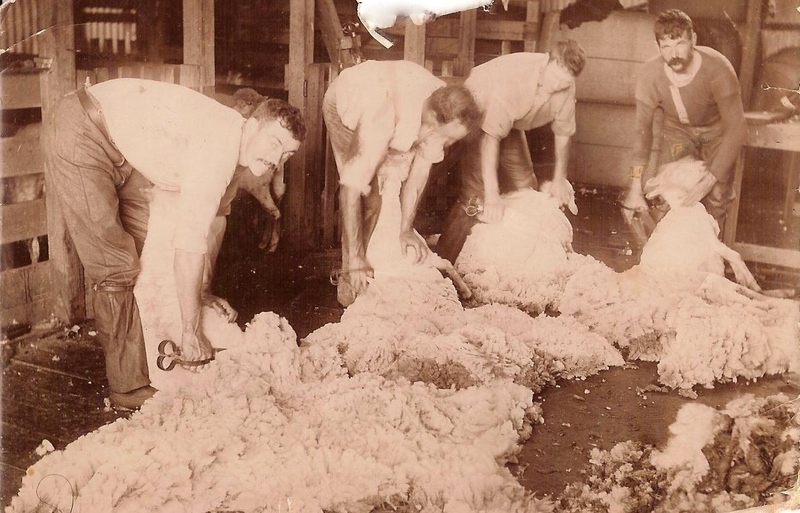 The brothers soon became known for their success in their pastoral pursuits and specialised in breeding Lincoln sheep. Alexander was on the board of the Dundas Shire from 1872 until 1890 and was President in 1878, 1885 and 1889 (Dundas (Vic. : Shire). Council Dundas Shire Centenary, 1863-1963. Hamilton Spectator for the Dundas Shire Council, [Hamilton], 1963). Alexander was also a Justice of the Peace, Magistrate and a trustee of the Byaduk North Cemetery. On 14 May 1885, Alexander married Euphemia Forsyth and in time they moved into South Hamilton just off Digby Road. Alexander died in 1914 and was buried at the Hamilton (Old) Cemetery. CRIDLAND, Alice – Died 16 May 1920 at Purrumbete. Alice Cridland was born in New Zealand around 1866. 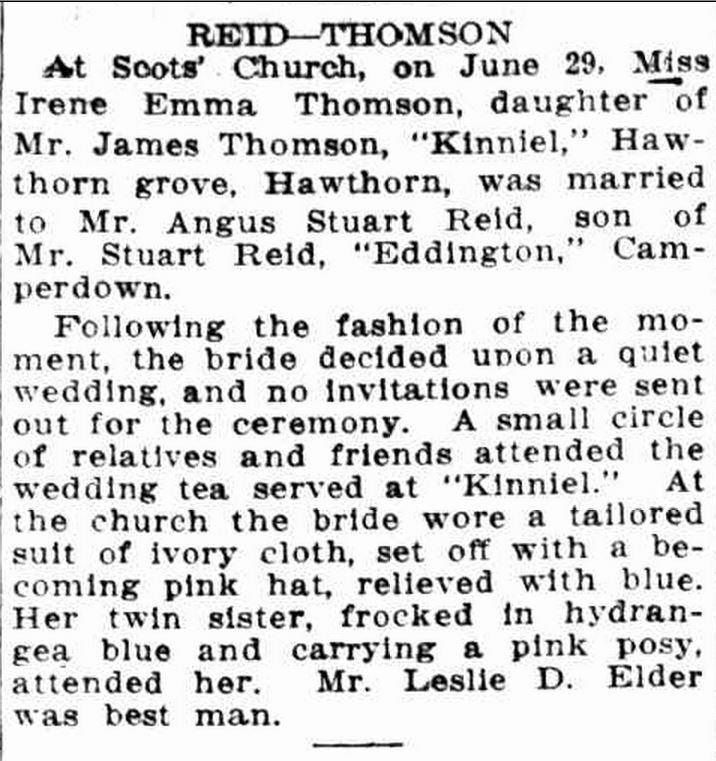 On 6 August 1886, she married Australian William Thomson Manifold from Purrumbete, Victoria. 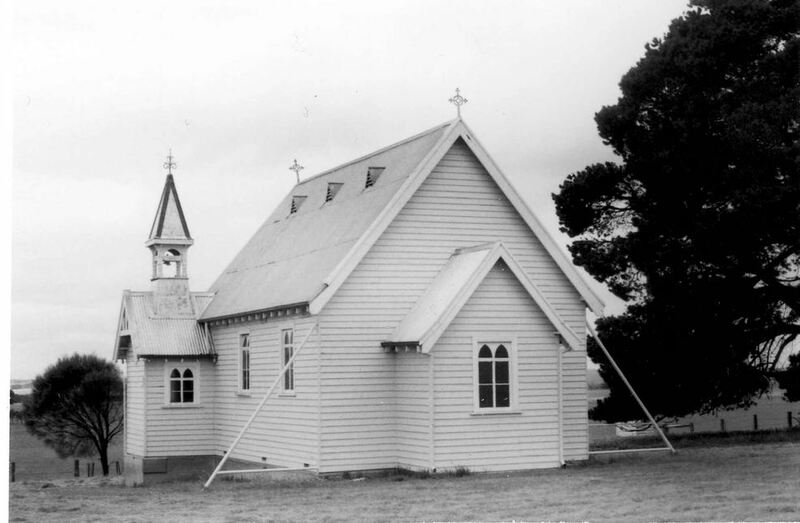 The wedding was held at St Mary’s Church, Papanui in Christchurch, New Zealand. After the reception which included a six-tier wedding cake, the newlyweds set off on their honeymoon first to the North Island of New Zealand and then on to Europe. 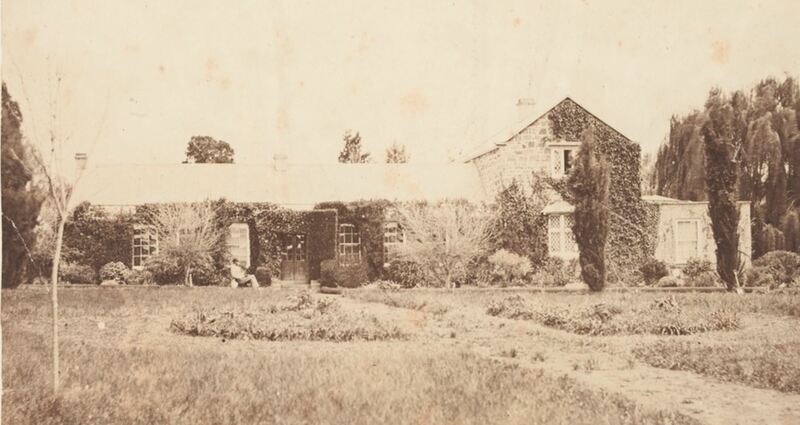 William took Alice back to the Western District and the home he inherited from his father John’s estate, the Purrumbete Homestead with 10,000 acres. A son, John (below with Alice) was born in 1888. The couple had a further two sons and two daughters. Alice was very active in the local community. She was a supporter of St Paul’s Church and Sunday School and Matron of the St Paul’s Boys’ Club. She also supported the local grammar school and the Weerite School. During WW1 Alice was active with the Red Cross and other patriotic groups, but she also saw three sons go to war with one not returning. Edward, John, and William all enlisted with the British Military. Lieutenant William Herbert Manifold was killed on 28 April 1917 in France while with the Royal Field Artillery. He was twenty-seven. Just over three years to the day of William’s death, Alice died at the age of fifty-four. She was buried at the Camperdown Cemetery.